The ruins of an ancient Martian civilization have unlocked the secrets to teleportation, and the UAC will stop at nothing to harness this world-altering technology. As part of a marine detachment sent to protect the facility, your duty seemed simple enough until the invasion. Now, in an epic clash against pure evil you must fight to understand who is with you, who is against you, and what must be done to stop this nightmare from reaching Earth. 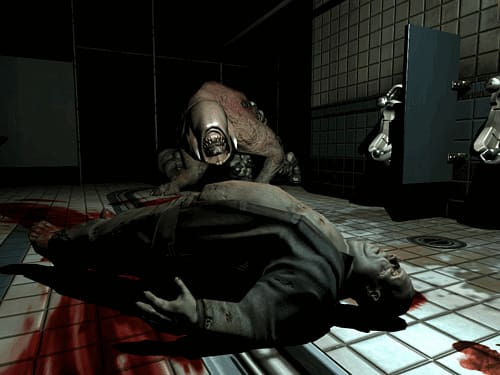 DOOM 3 draws you into one of the most frightening and gripping 3D gaming experience ever created. A classic shooter and a staple for fans of the genre. Incredibly scary. Don’t believe us? Turn off the lights and treat yourself to a couple hours of gameplay by yourself!